Senator Inouye and his wife Irene (at center) attended a reception last year held at Washington Place, Honolulu, for officials and community leaders associated with the proposed Thirty Meter Telescope on Mauna Kea. Senator Inouye was a champion of several major initiatives on the Big Island, including UH Hilo’s College of Pharmacy and ‘Imiloa Astronomy Center, and the U.S. Pacific Basin Agricultural Research Center. 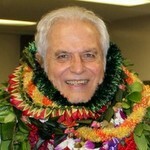 I was deeply saddened to learn of the passing of Hawai‘i’s senior U.S. Senator Daniel K. Inouye. Although I’ve been in the islands for only a short time, I have long admired his distinguished career of service to his state and country. From his time as a member of the famed 442nd infantry to more than a half-century of service in the nation’s capital, Senator Inouye served with honor, integrity, humility and a level of enthusiasm that never wavered. He was also an invaluable friend to the University of Hawai‘i at Hilo, where his vision and leadership led to the establishment of several major initiatives, including the College of Pharmacy, the ‘Imiloa Astronomy Center, and the U.S. Pacific Basin Agricultural Research Center. With his passing, we have lost a great man, the likes of which we may not see again soon. Yet, despite becoming one of the most powerful figures in Washington, he never forgot where he came from as he remained a dear and close friend to all who knew him. The entire UH Hilo community joins me in mourning his passing, and we extend our deepest condolences to his family, friends and staff. 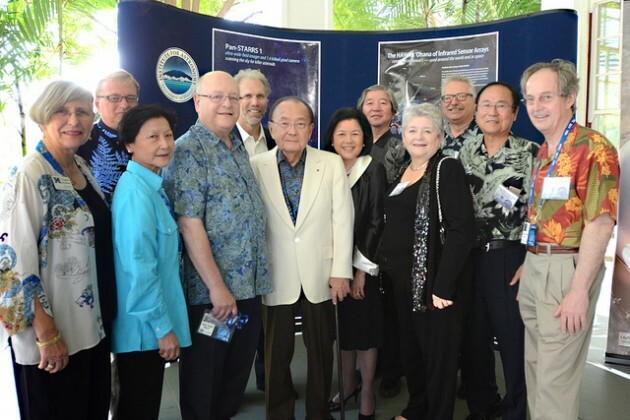 Photo, left to right: UH Manoa Chancellor Virginia Hinshaw, UH Hilo Chancellor Donald Straney, Dilling Yang, University of California System President Mark Yudof, UC Berkeley Professor Steven Beckwith, Senator Daniel Inouye and Irene Inouye, National Astronomical Observatory of Japan Director General Shoken Miyama, UH System President M.R.C. Greenwood, UH Institute for Astronomy Director Gunther Hasinger, UC Santa Barbara Chancellor Henry Yang, California Institute of Technology President Jean-Lou Chameau. Photo courtesy of UH System. Fall 2012 semester is coming to close and I want to take this opportunity to thank each of you in our campus community for your dedication and commitment to the University of Hawai‘i at Hilo. Dr. Kenith Simmons has been serving as interim vice chancellor for academic affairs. Gerald DeMello is retiring as director of University Relations. For the past 21 years, Gerald has been an indispensable advocate for the university and a major reason for the growth and development UH Hilo has enjoyed during that period. I know all of you join me in wishing nothing but the very best for Gerald as he embarks on new adventures. One of the things I am most proud of this semester is the hard work of the UH Hilo ‘ohana toward our new Strategic Plan. Administrators, faculty, and staff all have been working together diligently over the semester to implement the goals of the plan. I would like to highlight some of the action steps being taken to implement three of the six goals. Goal 1 is about providing learning experiences and support to prepare students to thrive, compete, innovate, and lead in their professional and personal lives. This goal is being facilitated through the new Office of Applied Learning Experiences, or ALEX, with Dr. Tom DeWitt as director. ALEX has been created to increase real world learning experiences at UH Hilo and maximize student participation. This includes internships, community based projects, service learning, creative activities, research, practica, and capstone experiences. ALEX is hosting its first conference on undergraduate research from multiple disciplines on Feb. 9. Another conference is planned for April dedicated to expanding applied learning experiences across all fields. Goal 2 of our Strategic Plan is to inspire excellence in teaching, research, and collaboration. Dan Brown, interim vice chancellor for research and economic development, is heading the expansion of research support services. A priority initiative is a new Science Outreach Resource Center or SOURCE to support faculty researchers and outside research partners in research and STEM education efforts. Another priority is to expand the support services to faculty, staff, and student scholarly activities. 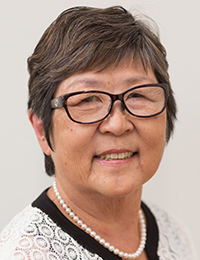 To that end, the office is undergoing a reorganization to include personnel from RCUH’s Office of Research Administration and Project Development (RAPD) within the UH Hilo office. Goal 3 is to foster a vibrant and sustainable environment within which to study, work, and live. Dr. Cam Muir’s work with several campus and community groups is leading us to adopt more sustainable practices on campus. UH Hilo has also begun planning for a comprehensive Freshmen Village as early as fall 2014, utilizing the current housing facilities that now constitute the core of the campus. Freshmen Village will be a highly interactive residential first-year experience to help students transition and adapt to UH Hilo academically and socially as freshmen. The village concept will provide ways for students to study and participate in programs and activities together outside the classroom, including the possibility of freshmen research-related projects. This year, rather than a campus-wide holiday gathering, I will be visiting the various offices and units on campus personally to deliver special holiday wishes. I look forward to seeing each of you! This fall, we have begun discussing two important questions facing UH Hilo: How fast should we grow? How do we help make Hilo a “college town”? When we return for the spring semester, there will be opportunities for broader discussion of these questions. I hope you will contribute your thoughts to the ongoing dialogue about the future of our university. 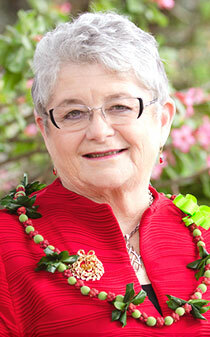 I’d like to update you on the progress we are making toward the University of Hawai‘i at Hilo’s Strategic Plan. Administrators, faculty, and staff have been working diligently over the semester to implement the goals of the plan. I would like to highlight some of the action steps being taken to implement three of the six goals. Goal 1 is about providing learning experiences and support to prepare students to thrive, compete, innovate, and lead in their professional and personal lives. This goal is being facilitated through the new Office of Applied Learning Experiences or ALEX, created to increase real world learning experiences at UH Hilo and maximize student participation. This includes internships, community based projects, service learning, creative activities, research, practica, and capstone experiences. Of interest to chamber members, the ALEX office plans to launch a community based mentorship program that will match students with professionals in their respective career fields in the local community. I encourage chamber members to contact applied learning coordinator Tom DeWitt, associate professor of marketing, about participating in this worthwhile program (tsdewitt@hawaii.edu or 974-7384). ALEX is also hosting a series of fairs and conferences dedicated to developing internships and applied learning opportunities. UH Hilo’s first conference on undergraduate research from multiple disciplines will be held on Feb. 9. Another conference is planned for April dedicated to expanding applied learning experiences across all fields. Goal 2 of our Strategic Plan is to inspire excellence in teaching, research, and collaboration. Dan Brown, interim vice chancellor for research and economic development, is heading the expansion of research support services. A priority initiative in support of this goal is a new Science Outreach Resource Center or SOURCE to support faculty researchers and outside research partners in research and science, technology, engineering and math (STEM) education efforts. The center is helping faculty find research collaborators both within and outside UH Hilo, and providing support for the success of the collaborations. SOURCE is also building stronger relationships between the university and federal, state and county agencies, commercial entities, and researchers at other universities. 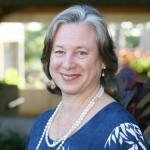 Another priority of Goal 2 is to expand the support services offered by the UH Hilo Office of Research to faculty, staff, and student scholarly activities. This support includes assistance with finding grant opportunities, successfully applying for the opportunities, and managing grants after awards have been made. To streamline the grant application process, the office is undergoing a reorganization to include Research Corporation of University of Hawai‘i personnel from RCUH’s Office of Research Administration and Project Development (RAPD) within the UH Hilo office. Goal 3 is to foster a vibrant and sustainable environment within which to study, work, and live. Studies show students who reside on campus and are exposed to extensive academic and social support structures in their first year are most likely to stay in college through graduation. In response, UH Hilo will be creating a comprehensive Freshmen Village as early as fall 2014, utilizing the current housing facilities that now constitute the core of the campus. Freshmen Village will be a highly interactive, highly engaging, residential first-year experience that will help students transition and adapt to UH Hilo academically and socially as freshmen. The village concept will provide ways for students to study and participate in programs and activities together outside the classroom, including the possibility of freshmen research-related projects. 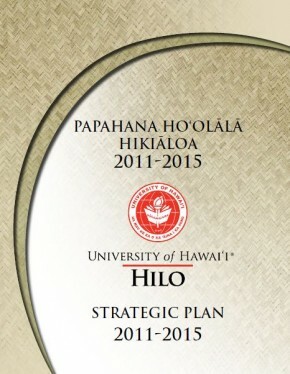 Learn more about UH Hilo’s Strategic Plan on my blog.